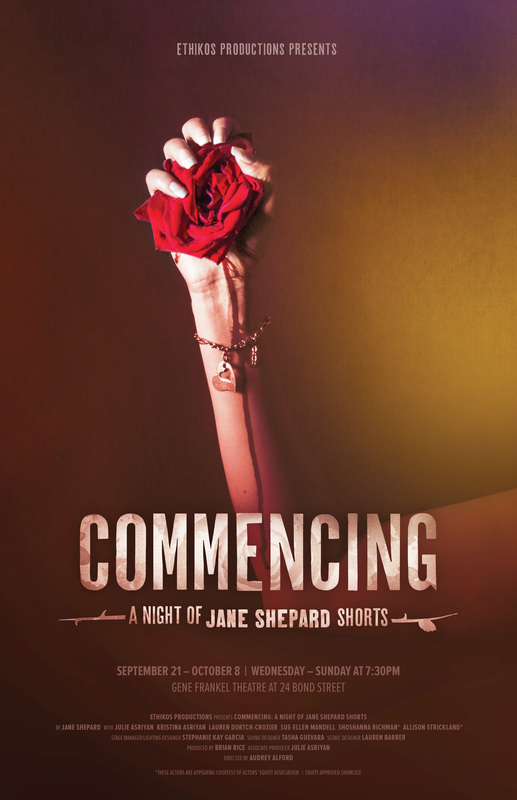 "Commencing: A Night of Jane Shepard Shorts” is an all-female cast production of 3 short plays by award-winning playwright Jane Shepard. The three selections, ‘Nine’, ‘Commencing’ and ‘Friends of The Deceased’ are from Shepard's KickAss Plays for Women. Each one act play is a two-hander feature in which both characters are female. Edgy, original, and with a darkly comic humanity each play examines - in very different ways - the tender, funny, often tortuous quest search for meaning.